Seth holds both the Ankh symbol & the was sceptre. Seth is a god of chaos, the desert, storms, disorder, violence, and foreigners in ancient Egyptian religion. Seth had a positive role where he accompanies Ra on his solar boat to repel Apep, the serpent of Chaos. Seth had a vital role as a reconciled combatant. 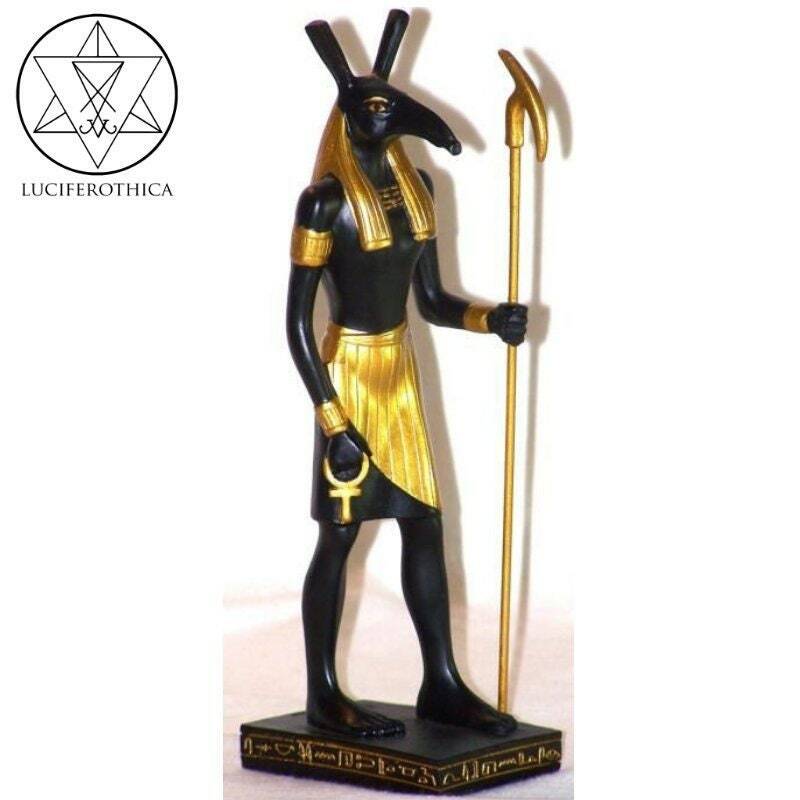 He was lord of the red (desert) land where he was the balance to Horus' role as lord of the black (soil) land.